Introducing the new Stone Quartz Cookware collection from Prestige. This range will make cooking the household meals just that little bit easier thanks to its eye-catching, speckled non-stick, anti-scratch interior which releases food easily and contains no PFOA so it’s super healthy too. 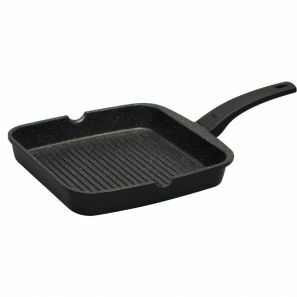 The Stone Quartz collection consists of cookware collection of frying pans, grill pans, and casseroles which are suitable for all hob types including induction which all feature the distinctive speckled non-stick coating and are guaranteed for a lifetime of use. The stone quartz collection is dishwasher safe making it perfect for busy households, in addition the the pans heat up really quickly because they are made from Cast Aluminium.